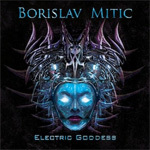 By way of Montreal, Serbian guitarist Borislav Mitic returns with his fourth album, Electric Goddess, now signed to Mike Varney's Shrapnel Records. 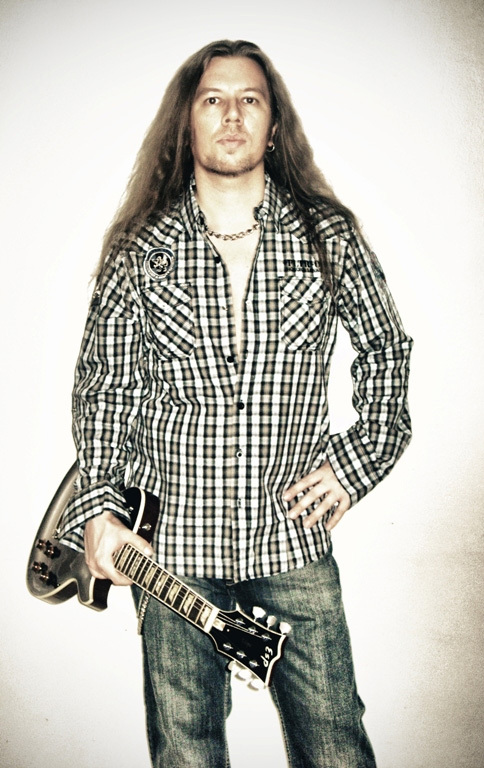 Once more Mitic hopes to dazzle you with his creative and fiery guitar licks. And he pretty much does so on these 13 tracks. There's much to like about Mitic. One, he's completely self-taught on the guitar. Playing since 11 years old, he picked up his chops by listening to his favorite guitar heroes on album. He's now an instructor. Second, while he can shred with the best, Mitic can play anything from straight rock to metal to blues, although you won't hear any of the latter hear. Check out his Media page on his web site. Third, not only can he play well, he has a keen sense of song composition. Sure, the arrangements benefit and display his skills, but it's not all blazing arpeggios up and down the fret board. The arrangements are both fluid and varied, with moments of subtlety and fireworks crisscrossing and interweaving in a single song. Perfect examples abound here with Garden of Dreams, Electric Goddess, Time, Machine World and Destination Reality. But if you want some of the more straight forward blazing, brain melting, fire a song like The Golden Throne is right up your alley. If you put all these things together it makes for a dangerously good combination, equally inspiring for learning guitarist or for those who simply appreciate good guitar, having never picked up the instrument (like this writer). Easily recommended. Borislav Mitic has that dangerously good ability to both play great metal guitar and compose terrific, varied and interesting, songs to display those skills.